We recently moved to 1326 Broadway. Stop by and say hi. 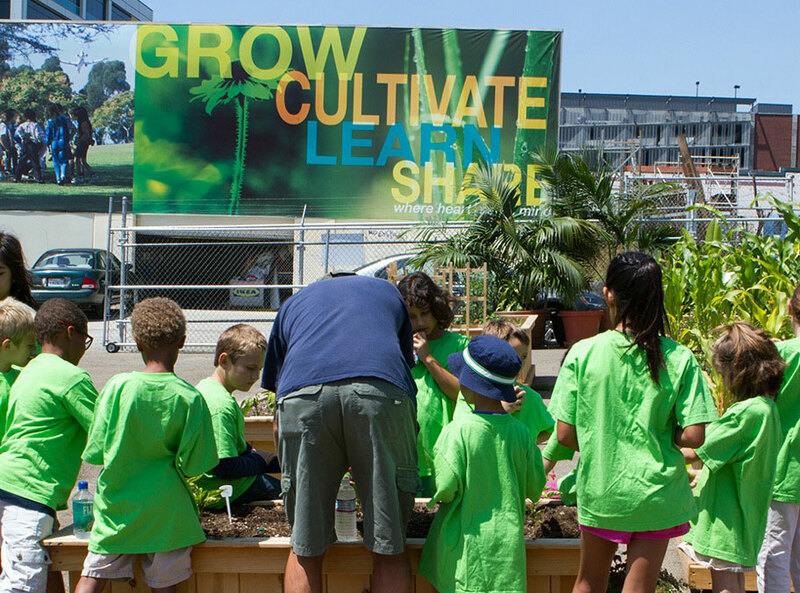 Come enjoy our outdoor classroom in the City. 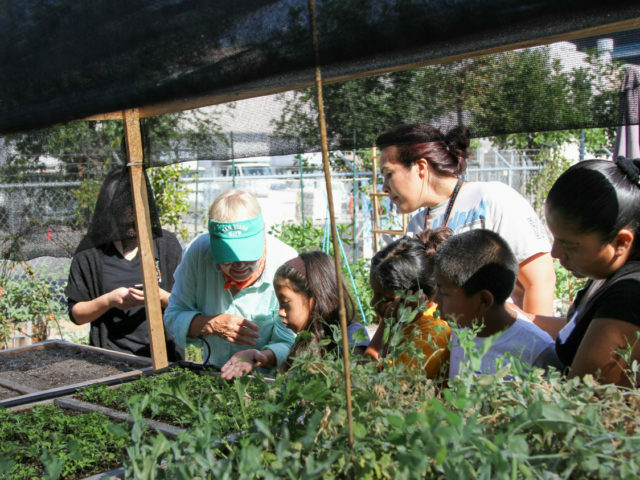 SMARTS Farm is a perfect place to hold an event, a class field-trip, and customize youth classes. Please contact info@humanesmarts.org for more details. A lush garden is a great place to grow and create art. 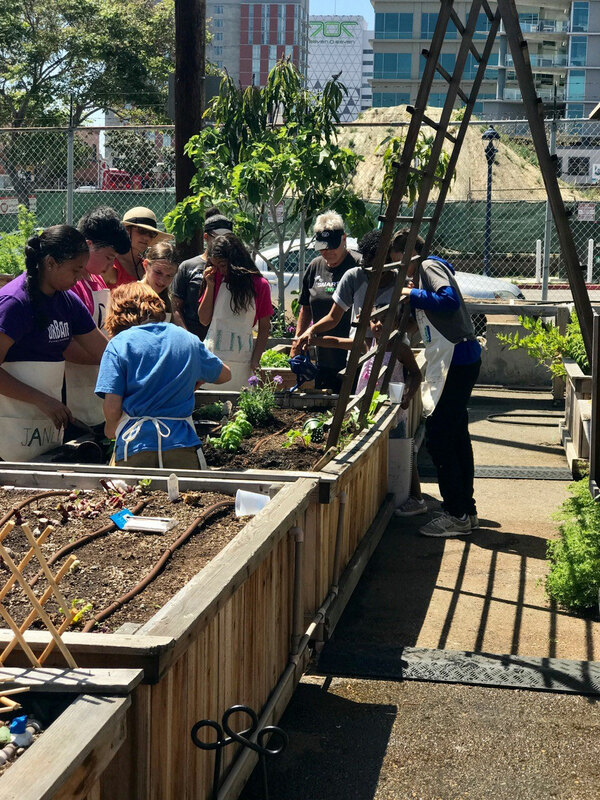 In our Gardening and Arts program, we offer a range of events for gardeners and artists of all ages. Our photography program, operated in cooperation with MoOPA, helps participants perceive the world in new ways, and share their perspective with others. As our programs expand, Humane Smarts will offer indoor classes in yoga, judo, fashion, and much more. 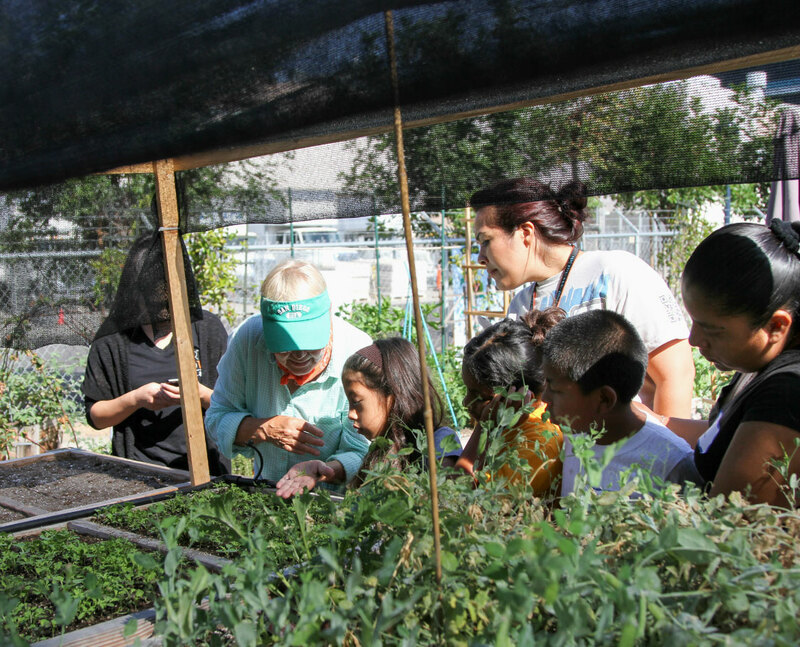 SMARTS Farm offers the youth of our community the opportunity to dig in dirt and watch things grow. Far more than gardening is happening at the farm. 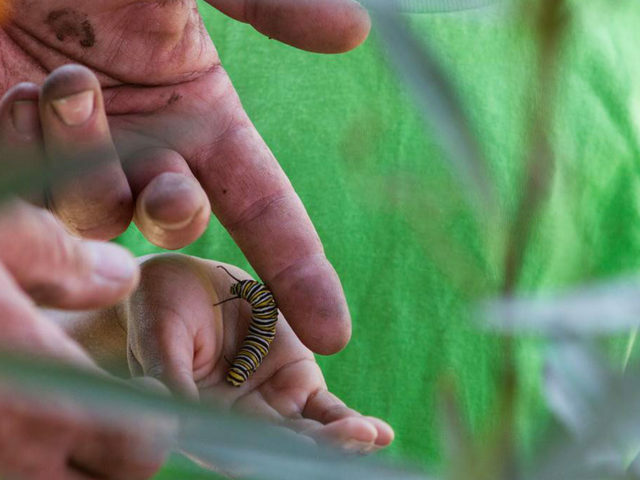 Our wide range of programs offers kids a great opportunity to tap into their creativity and connect with the natural world. A lush garden is a great place to make art, and to learn what makes things grow. In our Gardening and Arts program, we offer a range of events to gardeners and artists of all ages. 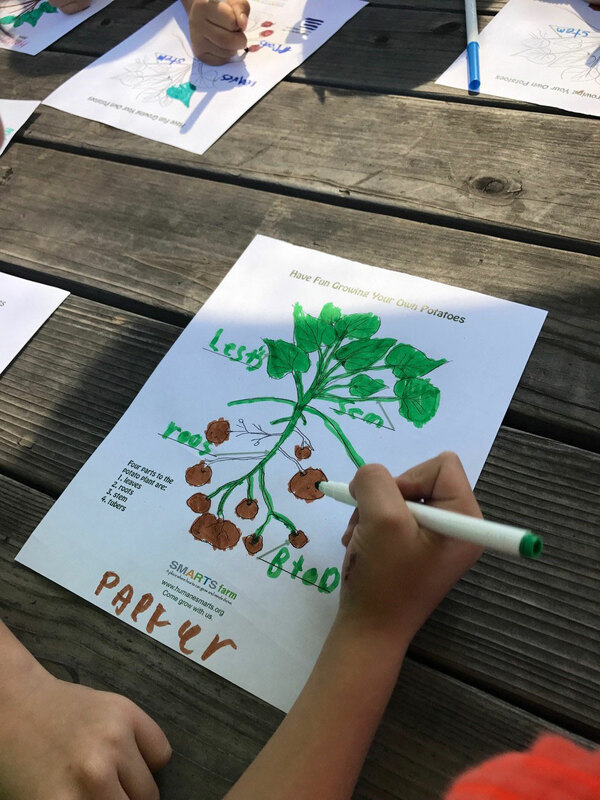 In this two-hour program, young people paint rocks, paint faces, and put seeds and plants in the rich soil of the Smarts Farm garden plots. During these events, local horticultural professionals and master gardeners share their expertise with the adult Smarts Farm community. 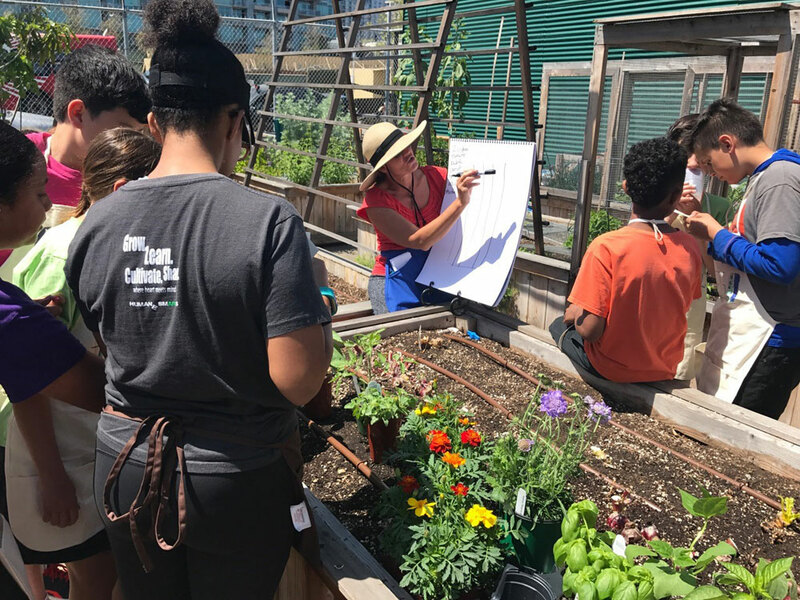 This introductory class will teach new gardeners about good and bad bugs, good and bad soil, planting from seeds and six-packs, and the importance of locally grown produce. Classes offered by local chefs, using fresh produce, will teach young people basic skills for preparing delicious dishes. 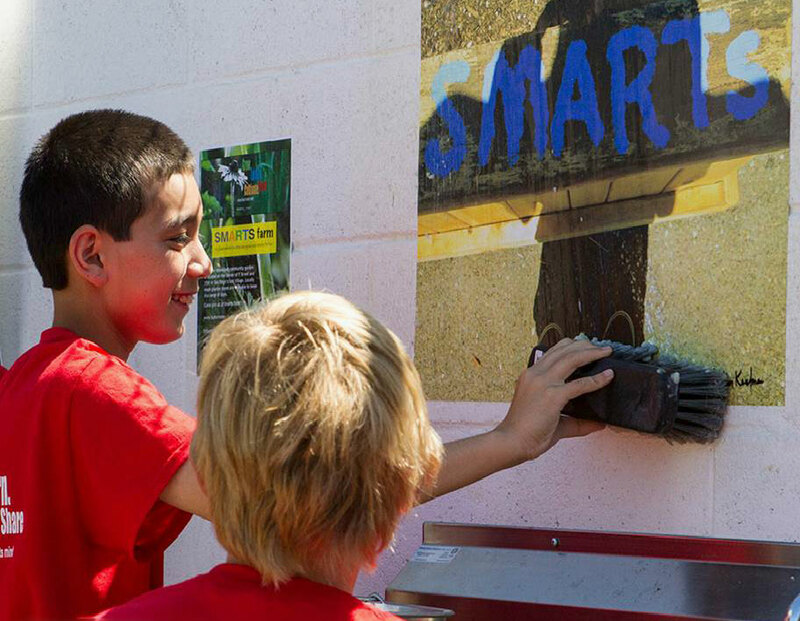 Young people will help design and build our Humane Smarts Puppet Theater. During special Craft Day workshops, they will create their own puppets, and later write and perform in puppet theatrical events. Local artisans, including pottery and jewelry makers, will help young people design and create works of art, then explore markets for selling their creations. Come the winter solstice, Smarts Farm will provide succulents, evergreens, and instruction for the creation of beautiful holiday wreaths. 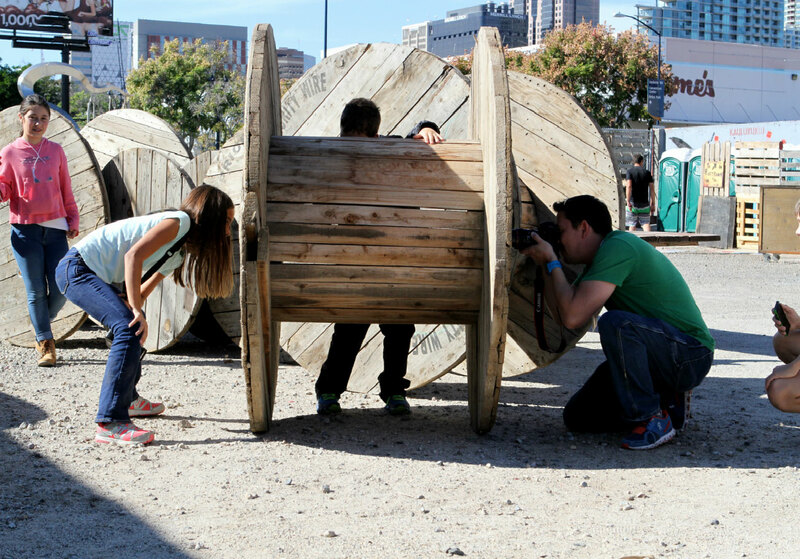 Targeted at budding photographers aged 6 to 16, the workshop runs six hours total—two hours each class day. The students learn basic lighting, composition, and camera operation, then aim their lenses at the wealth of photographic subjects at the farm. Participants choose their a favorite images for printing in Adobe Lightroom. The final day, students use wheat paste to affix their masterpieces to the SMARTS Farm wall. 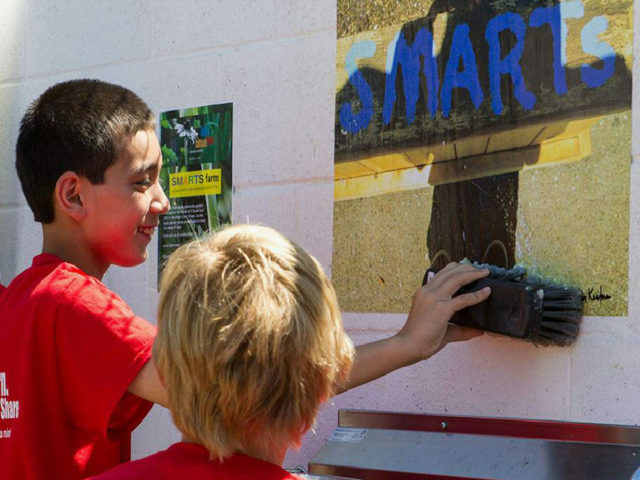 Cameras, instruction, supplies, prints, and snacks are provided by Humane Smarts. Through intermediate and advanced classes, youth and adults will learn more about the art, science, and social impact of photography. 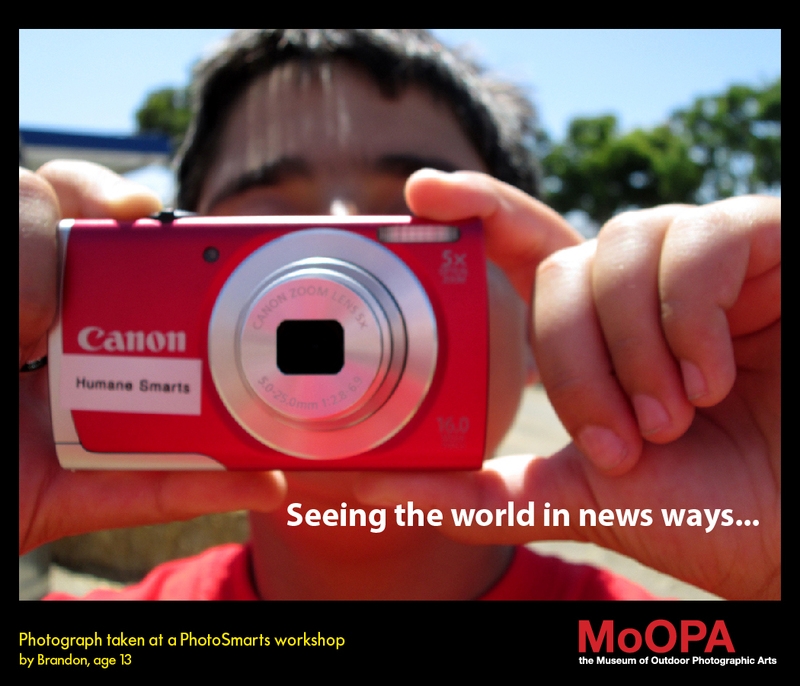 As the PhotoSmarts program grows, MoOPA will organize quarterly competitions in which San Diego youth aged 12 to 18 will share their photographic perspectives on a given theme. Selected images will be printed and wheat-pasted in outdoor Wall Art exhibits. 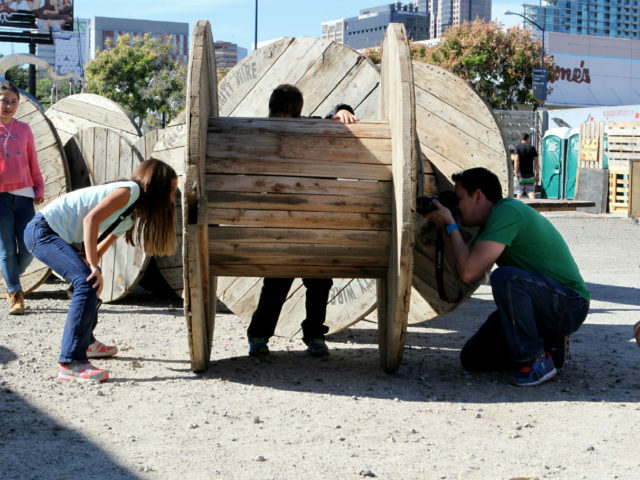 Offered in collaboration with SMARTS Farm, our photography program for kids helps budding photographers see the world in new ways. 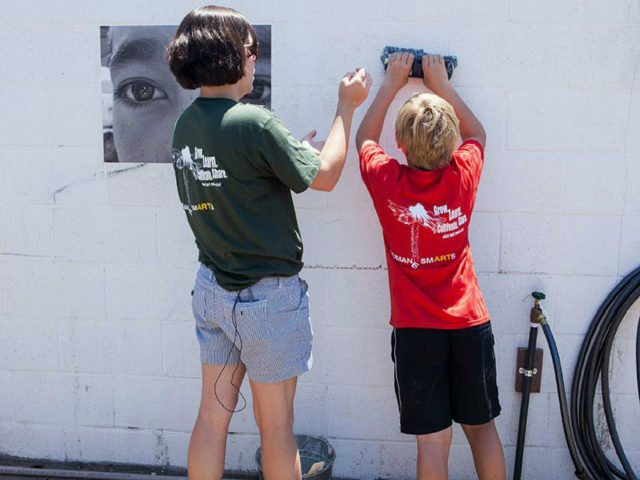 Young people aged six to 16 gather at Humane Smarts’ collaborative garden to learn about photography, create their own images, and paste their prints at the farm. Please contact us for dates and details. 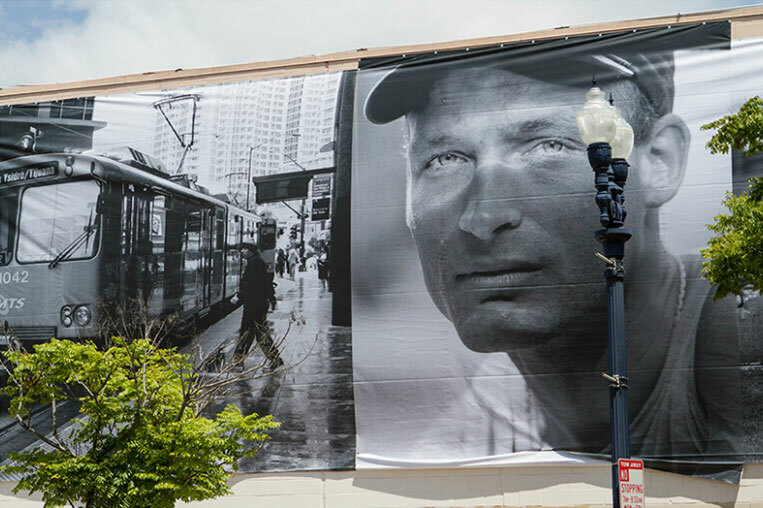 For many years, Susan Madden Lankford focused her cameras on the streets of San Diego. 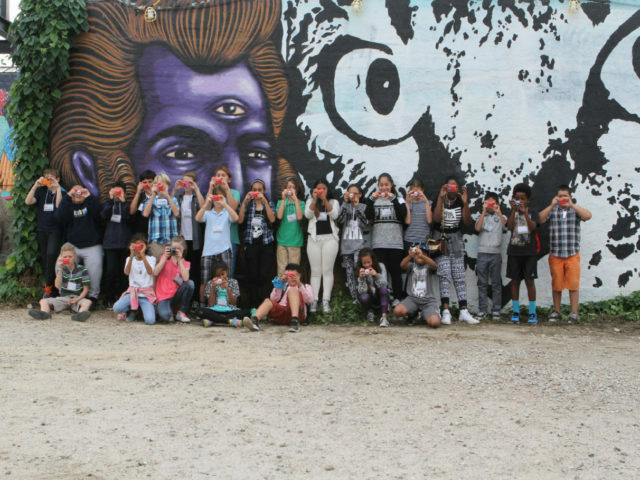 Her portraits on the ArtWall capture a vibrant, diverse, and often underserved community. Matt Black’s powerful work chronicles the decline of traditional farming. His images feature a village in the Mixteca, an impoverished region of Mexico that has lost nearly 80 percent of its population to migration North. Polly Lankford Smith’s simple, poignant photograph of a cone flower links the images from North and South, evoking the broader vision of Humane Smarts. Beyond telling a compelling story of migration, alienation, and interconnection, the goal of “Where North Meets South” is to underscore the transformative power of art, and to inspire community residents to seek outlets for their own creativity.